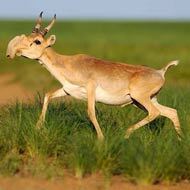 Saiga are one of the most threatened species on the planet. A mystery illness that wiped out more than half the world's population of Saiga antelopes this year was most likely caused by haemorraghic septicaemia, according to the RVC's Professor Richard Kock. The mass die-off in Kazakhstan is said to have begun in May this year, when tens of thousands of animals were found dead in just a matter of days. Now, the number of affected animals is said to be 250,000. Saiga are one of the most threatened species on the planet, having suffered a 95 per cent decline in 15 years. Following the mass deaths in May, the United Nations Environment Programme Convention on Migratory Species called an emergency conference to help restore the population. Prof Kock was one of the first vets on the scene when the die-off began. Alongside a team supported by the National Environment Research Council, he is working with those in Kazakhstan to help understand these catastrophic deaths. Presenting his findings, Prof Kock confirmed haemorraghic septicaemia to be the most likely culprit. But the question remains, what triggered this event across 160,000 square kilometres on the Kazakh steppe? 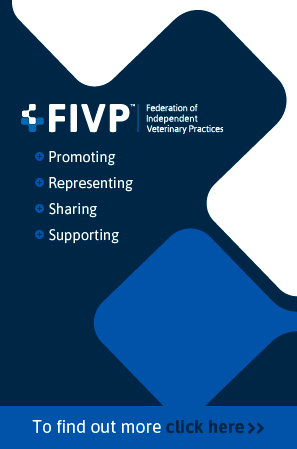 Prof Kock will continue to work alongside numerous organisations and authorities, providing expert opinions on how best to support and rebuild the Saiga population.